Every year Conwy hosts Conwy Feast, a weekend celebration of Welsh food, drink, art, music and fun. 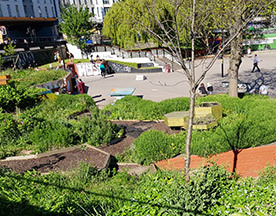 The 2018 Feast was held last weekend and Incredible Edible Conwy were at the heart of the event, involving groups from across Wales through an Incredible map of Welsh groups which was planted with various vegetables and herbs as the weekend progressed. 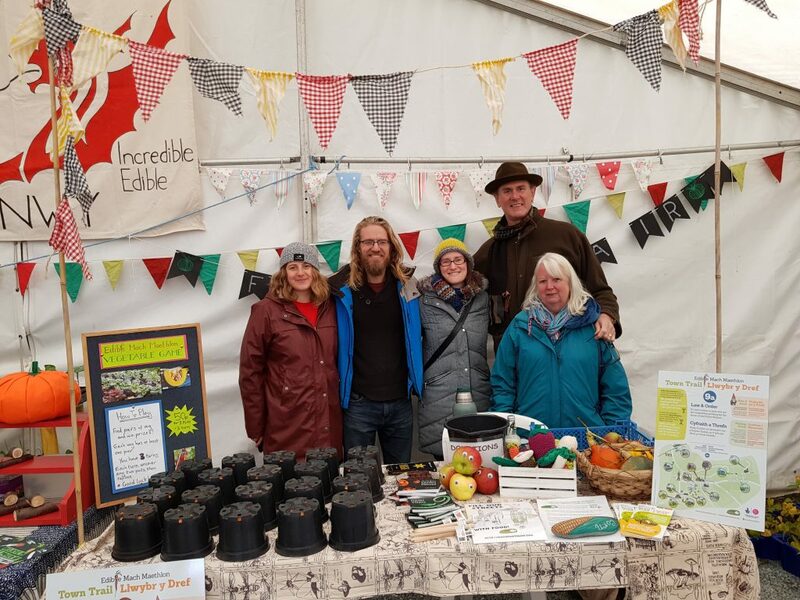 Community events like the Conwy Feast are great opportunities to talk with people about what Incredible Edible is all about and the Conwy team had a great way to get folk chatting. One member of Incredible Edible Conwy is an artist and worked with the group to create an amazing wooden map of Wales. Then a flag for every Incredible Edible group in Wales was added together with some wire mesh to separate out the counties. 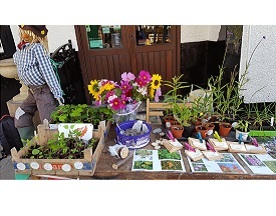 Various seedlings were planted up in advance, ranging from peas and leeks (obviously) through to Korean mint and pak choi, and visitors to the event were given the opportunity to plant Wales! 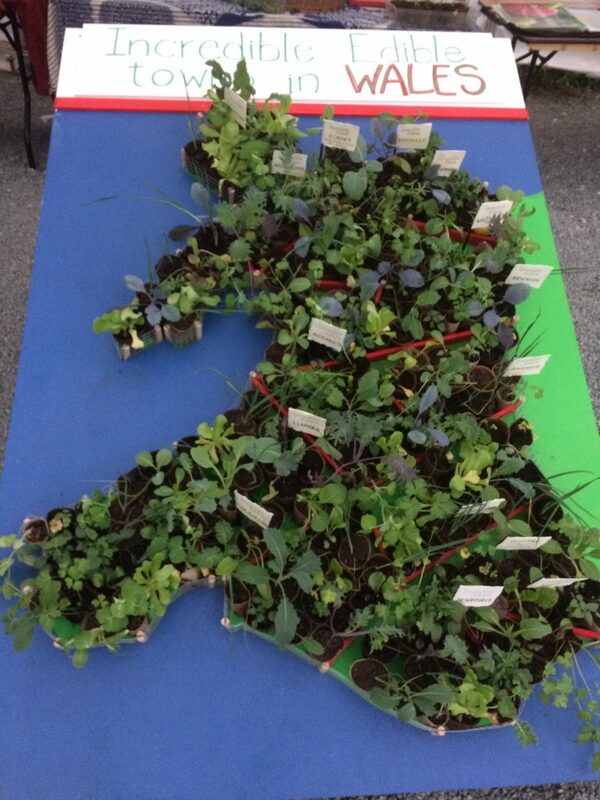 Children were keen to pick their favourite veg and everyone wanted to ensure their bit of Wales was planted up. 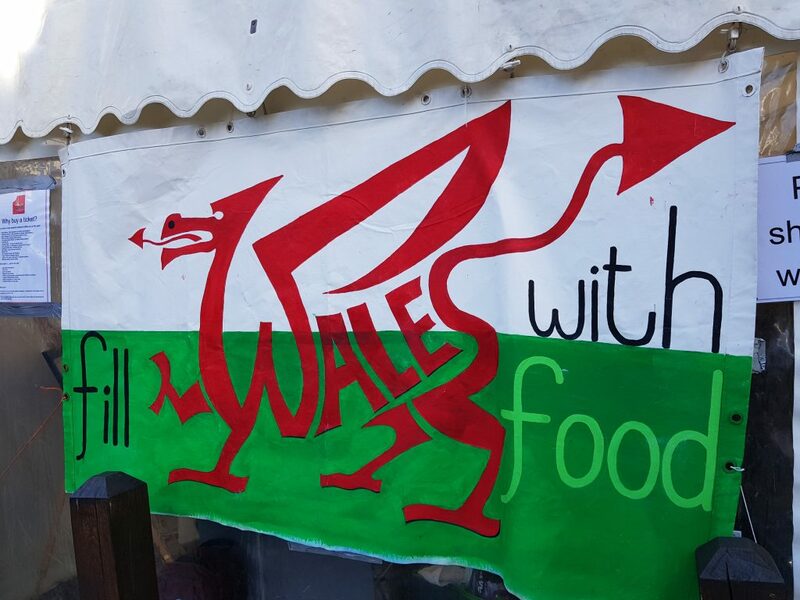 You can see how it happened with a great time lapse video here – wait till the end to see Wales full of food! 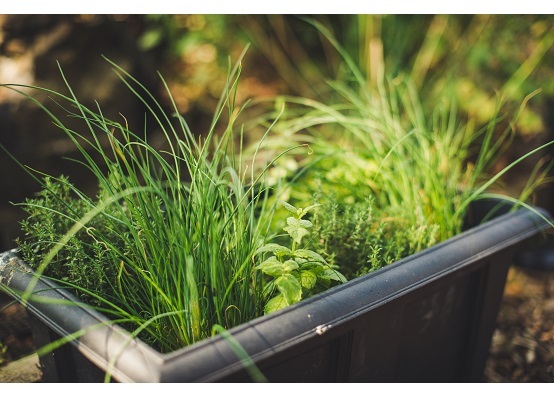 After the event all the plants will be given to a local primary school who, with the support of Incredible Edible Conwy, will plant them up and harvest them when the time comes. The group also had bug hotels and bird feeders expertly made by one of the group members from waste wood as well as a range of seeds in Incredible Edible Conwy branded packets, all of which was free with donations welcome – the group find this a great way to raise funds. Plus the kids got to plant a garlic clove to take away and plant at home. 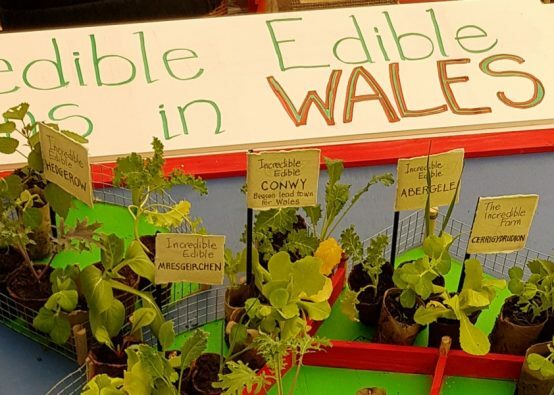 Also joining Incredible Edible Conwy in the tent was the Incredible Edible Eco Farm, Edible Mach Maethlon, new group Incredible Edible Abergele, as well as the local Community Orchard, Forest Garden, the Woodland Trust and Social Farms and Gardens. The tent was busy across the two days, with one visitor overheard excitedly telling her friend ‘This is Incredible Edible, they’re amazing, they grow food down by the castle and anyone can pick it!’ – it’s this sort of spontaneous enthusiasm for Incredible Edible which highlights the importance of the efforts of all our groups to create kind, confident and connected communities. Celia Williams is our Wales Facilitator and supports all the groups across Wales as well as new and emerging groups. 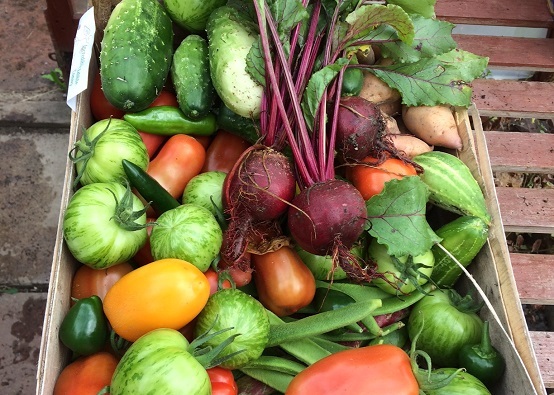 We’ll soon be launching some of our materials in Welsh and will be holding a networking event for all Incredible Edible groups in Wales in Spring 2019. If you’re interested in starting a group in Wales (or anywhere else for that matter) then sign up to the website to access a raft of resources, or contact us. 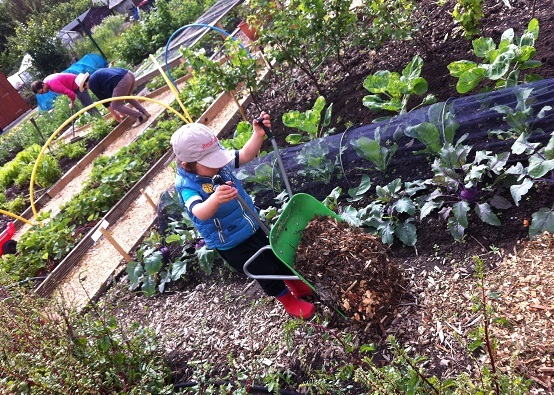 Wakefield District Incredible Edible Schools NetworkHow do you care for your soil?